Shattered is a Rare Banner. To get the Shattered Banner you can either open a specific crate with a key or trade with other players. 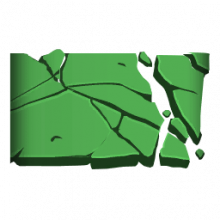 You can search for trade offers with Shattered here.